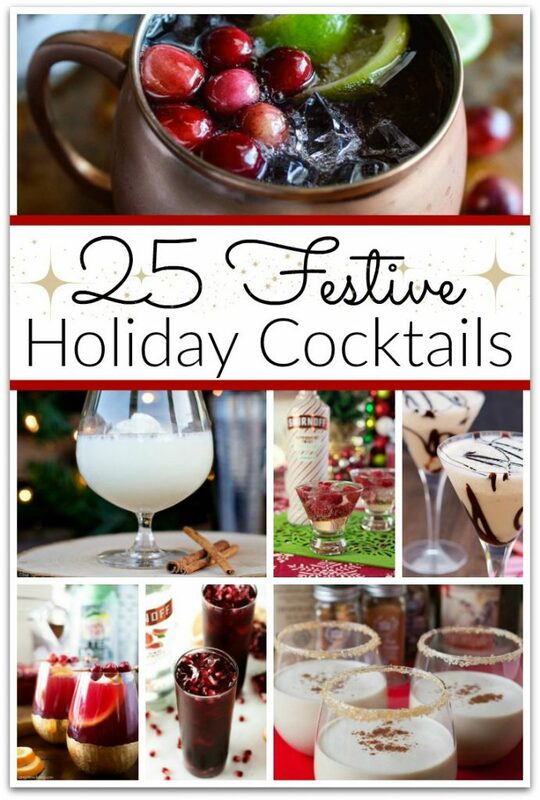 Tis’ the season to be…partying with these festive holiday cocktails! I enjoy having friends over to celebrate the holidays, and I always want to have a festive atmosphere. Colorful plates, napkins, and a pretty centerpiece makes my table look cheerful and inviting. On my kitchen counter, I like to have all the ingredients for DIY cocktails. That way I don’t have to stop and make a cocktail each time someone needs one. One year I just had chilled Prosecco and raspberries, and it was a big hit! I also love the first recipe for the Raspberry Peppermint Fizz. You could use Prosecco for that, too, instead of champagne. 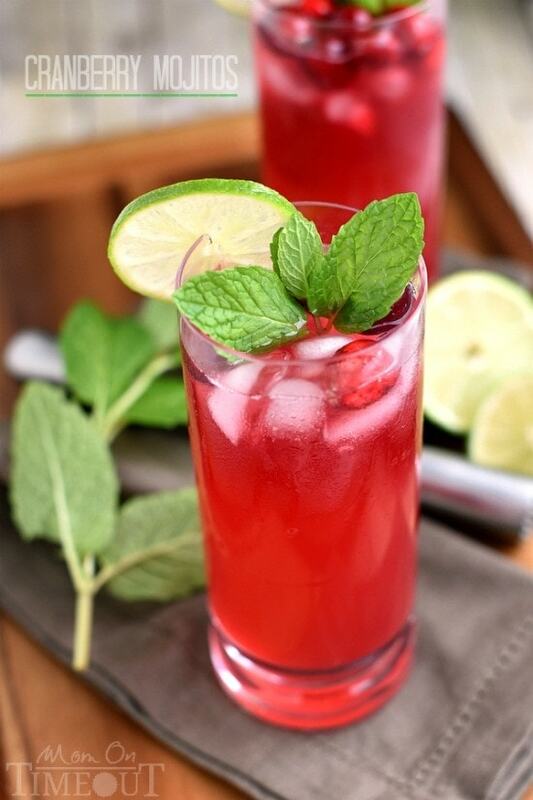 Add a little peppermint vodka and some raspberries and you have a cocktail that is sure to be the hit of the party! I also love the idea of a cranberry mojito. How fun is that? Everyone loves a mojito, and the cranberries make it a perfect holiday party drink. Your guest will love any of these cocktails. Remember to drink responsibly and decide on a designated driver before the party starts. You will love every single one of these holiday drinks. Some are made with vodka, others have wine. They are all so beautiful and perfect for holiday parties. 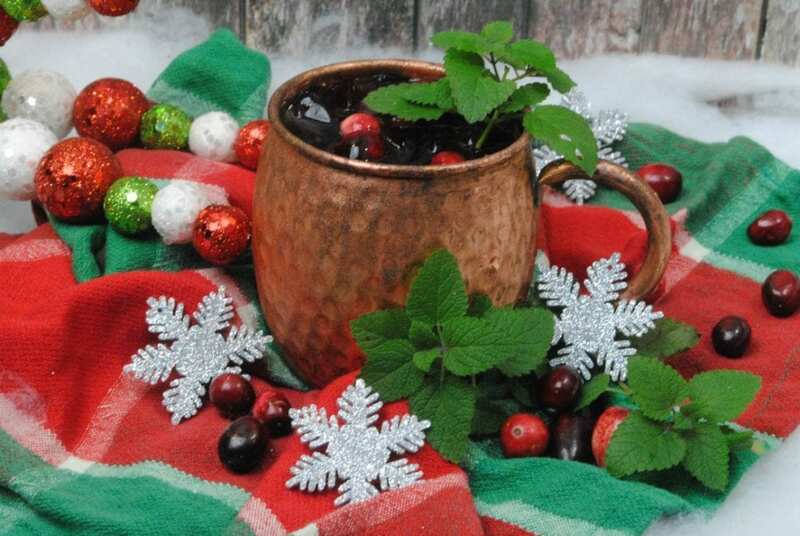 Cranberry Moscow Mule | Food, Fun & Faraway Places | I love a good Moscow Mule, and this is one of my favorite recipes! I’m a Tito’s fan, but any good quality vodka will do! Raspberry Peppermint Fizz | Hairspray & High Heels | Raspberry and peppermint were meant for each other. Who knew?! 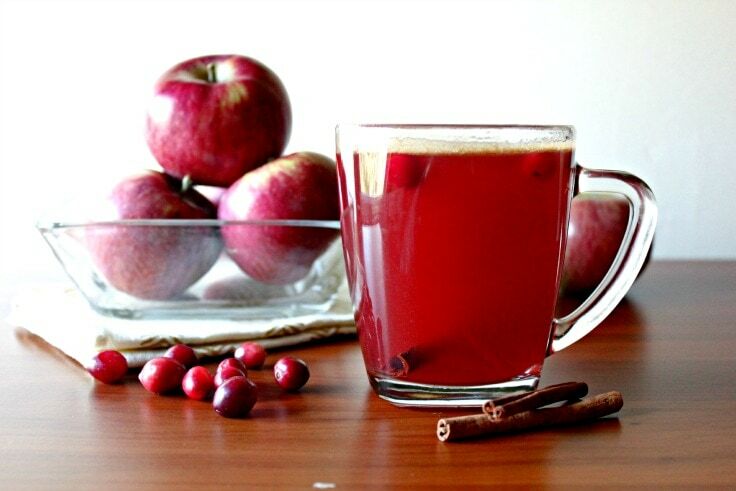 Cranberry Apple Moscow Mule Cocktail | Simply Darrling | The addition of ginger beer to this cocktail makes it so delish! Peppermint Dream Holiday Cocktail |Mom Endeavors| This one is so simple and so delish! 3 ingredients and a candy cane and you’ve got a festive cocktail for that Christmas party you’re hosting! 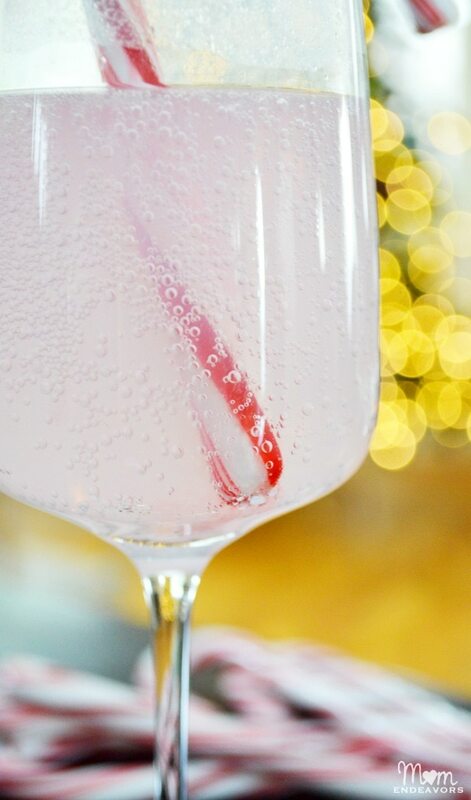 Cherry Candy Cane Cocktail | Random Mommy | Another one with just three ingredients and a candy cane. The Peppermint Schnapps really makes this one taste like a candy cane! 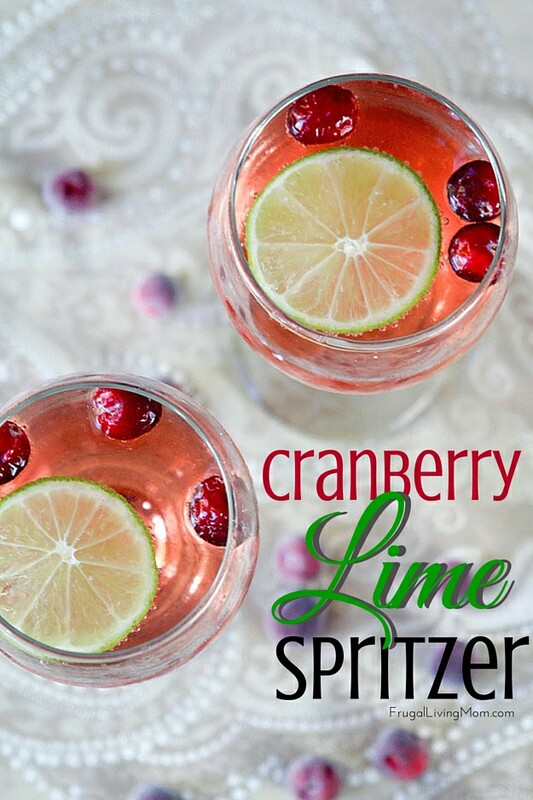 Cranberry Lime Spritzer | Frugal Living Mom | I like spritzers because they are usually fewer calories. So you can drink more, right? No judging! Cranberry Mojito |Mom on Timeout | I’ve never tasted a cranberry cocktail I didn’t like! Mojitos are one of my favorites, and this one is perfectly festive! Pomegranate Grapefruit Punch – | A Simple Pantry | I love the flavor of pomegranate juice, and it’s actually really good for you! Okay, so the vodka might not be as healthy, but it’s the holidays! Let’s splurge a little, shall we?! Apple Cider Vodka Cocktail | What’s Cooking, Love? | Cider is such a yummy holiday drink. Why have I never thought to add vodka? Frozen Cranberry Margarita | Simply Darrling | Cranberry is just so good in a cocktail. I love that I have all these new recipes to try! I’ve had a lot of margaritas, but never a cranberry one! Fruity Twister | All She Cooks | I love this one, and you could totally make it a mocktail if you wanted to. It’s got just the right amount of sweet! Cranberry Bourbon Chiller | My Turn for Us | I had cranberry with the apple flavored Crown Royal a couple of years ago and it was delicious. This one is similar so can’t wait to try it! Cranberry Pomegranate Champagne Spritzer | Sunny Sweet Day | You can use champagne or Prosecco in this recipe. You’re going to love this one! 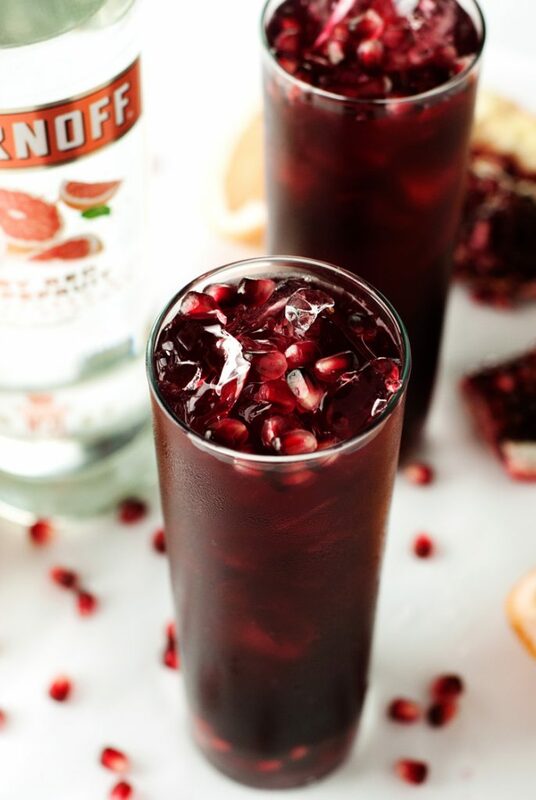 Pomegranate Red Wine Sangria | Dukes & Duchesses | What I love about this one is that you make it in a bottle or punch bowl and don’t have to mess with making drinks throughout the night. Easy! Cranberry Orange Sparkling Wine | Hot Eats and Cool Reads | The sugar around the rim makes this one look so festive, and the cranberry and orange together are so good! Spiced Cranberry Sangria | Taylor Bradford Blog | Pinot Noir is my wine of choice, so I’ll have to try this one soon. 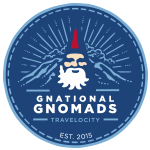 The nutmeg, cloves, and allspice sound really delicious! 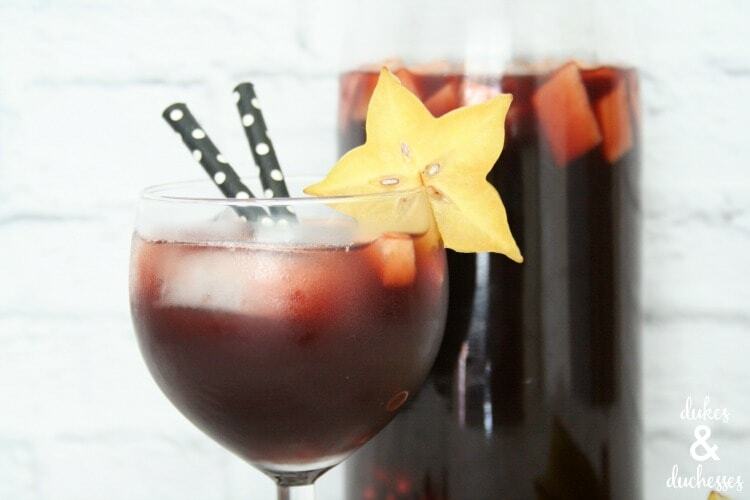 Easy Cranberry Sangria | A Night Owl Blog | This one couldn’t be easier! Perfect for a party any time of year! Every party needs a dessert cocktail, too, right? Enjoy! 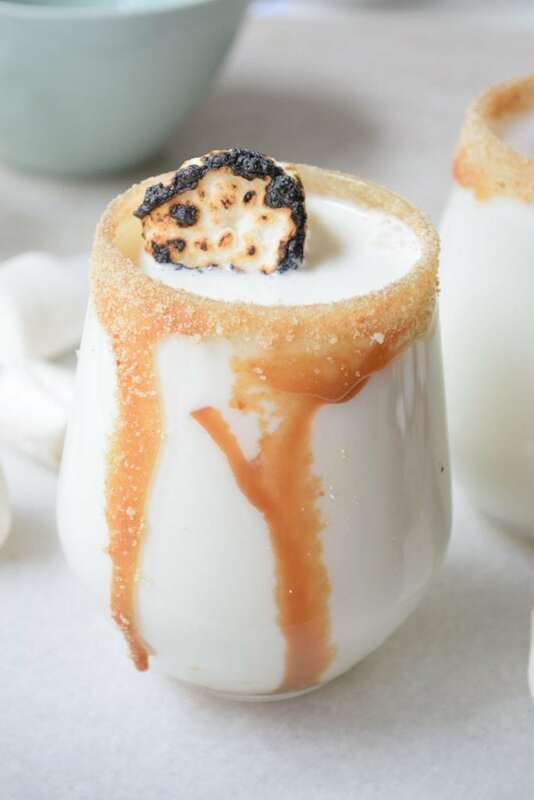 Roasted Marshmallow Cocktail |Food, Fun & Faraway Places | This is about as decadent as you can get with a cocktail! Million Dollar Chocolate Cocktail | The Cocktail Couple | Chocolate in a cocktail? Enough said! Naughty Girl Scout Cocktail | Love Bakes Good Cakes | Think Thin Mints! I think this would be pretty with a candy cane it it, too! Raspberry Cheesecake Cocktail Shots | Busy Being Jennifer | Cocktail shots can get you in trouble when they taste like this, so please drink responsibly! Have a designated driver or drink at home! Apple Pie Cinnamon Cocktail | Cooking on the Front Burner | Love apple pie? Me, too! And this tastes just like it, but boozy! Spiced Eggnog Cocktail | A Family Feast | I adore eggnog, so this one is right up my alley! White Chocolate Eggnog Cocktail | A Night Owl Blog | Doesn’t this sound heavenly? White chocolate and eggnog are a great pairing! You should always have something for those who are not drinking, whether it’s simply a preference or they are designated drivers. These are a few of my favorites! Hot Spiced Cranberry Cider | Confessions of an Overworked Mom | This just begs to be sipped while watching Hallmark movies! Skinny Cosmo Mocktail | The Pinning Mama | Treat your non-drinking guests to something special with this mocktail cosmo! Looking for some holiday appetizers? 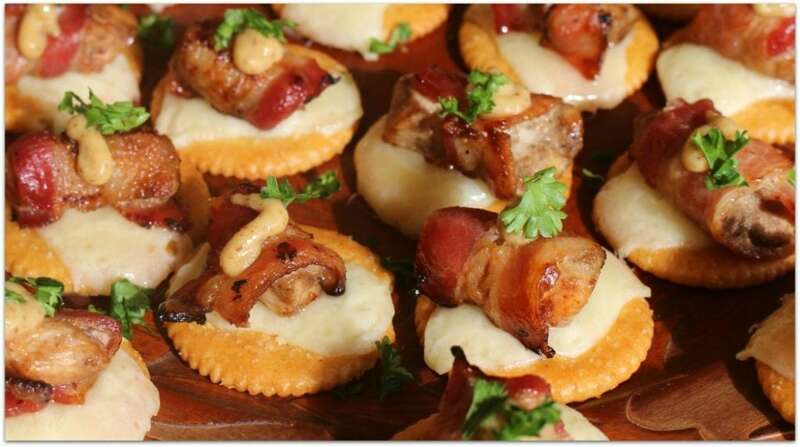 Check out these 20 holiday appetizers! You will love these bacon-wrapped chicken bites and they are the easiest appetizer ever! And for dessert, you can have your choice of these 20 decadent Christmas desserts. The Hot Chocolate Cupcakes and White Chocolate Oreos are my favorites! Decorate the Oreos for whatever holiday you’re celebrating! Appetizers, desserts, and cocktails, and you’re done! Come back and let me know which recipe your guests loved the most! Anything with egg nog and I’m in, especially around the holidays…. The Cranberry Lime Spritzer also looks good. Great post, saving this for the weekend. Some others, including the frozen cranberry margarita are definitely worth a try too. Thanks, Acacia! I can’t wait to try the margarita, too! 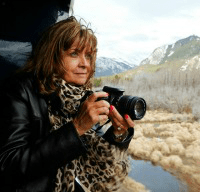 Thanks so much for visiting and taking the time to comment! Green creme de mint, white creme de cocoa and heavy cream shake over ice and pour over ice with whip cream on top!!! lovely, dont drink but one or two!!! Going to try this one soon, Sandy! Thank you! What other festive drinks can be made with tequila?